I’m a new member and here’s my issue. I currently print through Lightning Source. I have printed three books with them successfully. The next book that I am working on is going to be in a size that they do not offer. It’s a photography book that will double as a literary anthology. The photographs I have are all landscape format and ideally, I want to do the book at 10 x 8. Lightning Source does not offer any landscape-formatted books. I could compromise on the size and do a square format but I really don’t want to. What are my options for other reliable/ professional printers that would offer the size that I need? I printed my first book with LuLu and will never use them again because their prices are ridiculous. That was the whole reason I switched to Lightning Source to begin with. Does Lightning Source have an “equal” in the industry or are they at the top of the food chain? I need someone with the same services/qualities as LSI…but with the size I need. I have used Lightning Source Inc. (LSI) for many projects, both four color and one color books, and have printed both domestically and offshore with them. They consistently provide a great product. You may want to inquire through your rep at LSI whether or not they are able to provide the 10 x 8 format you need. I had a project similar to yours a few years ago and LSI said they would do it if I would run a minimum of 25 copies. Keep in mind that this sort of run at LSI takes you out of their print-and-ship distribution network; however, in order to sell the book via the Amazon web site you can set up the book in the Amazon Advantage program (www.amazon.com/advantage), and at BN.com for online Barnes & Noble sales. If LSI won’t do the run for you, the good folks at SelfPublishing.com will definitely run the 10 x 8 format, however, their minimum for a four-color run is 100 copies. We are researching the possibility of changing publishers and also reprinting our own past editions of children’s books. I personally own the copyright to each book. Very soon, we may be working directly with a book printer to reprint our earlier-published books internally. No part of the book will change except for the publisher information/logo on the copyright page, title page, spine and back covers. 1. Is a new ISBN number required? 2.Are a new Library of Congress Control number and barcode required? 3. In handling the copyright page, is it best to say something like: Originally published in 20__ by _______________, an imprint of ___________________. Currently published by ________________. 4. Do we need to establish a separate publishing company or can we simply use our current company name? 5. If you know of any other requirements, please let us know. 1. The ISBN belongs to the publisher, not the copyright holder. If you are starting a new publishing company, you must choose your 13-digit ISBN from a block that you purchase. 2. The Bar Code, based on the ISBN, would have to be re-done along with the ISBN. I would also recommend obtaining a new LCCN (it’s free, and easy to get), although you probably wouldn’t get into trouble for using the old one. 3. That seems appropriate, yes. 5. Again, I could answer more definitively if I had more information. Keep in mind that if somebody else published the earlier edition, that publisher may have contractual rights, even though the book is copyrighted in your name. In that case, you must obtain, in writing, a statement from the old publisher that the rights to publish have reverted to you, the author. Even with such a statement, the old publisher, or designers or artists who worked on creating the old edition,, may retain rights to the basic design, the look-and-feel of the book, etc. From your description, it sounds like you are planning to leave the design of the front cover unchanged. Do you have rights to the artwork and design of the cover? Even things like the interior layout and font choices may be intellectual property of the old publisher or of artists who created them. Most of these issues are pretty straightforward–I don’t mean to make them sound more complicated than they are (or as complicated as a high-priced lawyer might make them seem!). The point is that most publishers arrange for the copyright of a book to be in the name of the author, but the contract with the author gives the publisher the rights to do the things publishers do, such as selling the book. Until that contract is formally terminated, you don’t have a right to reprint and market a competing version of the book. And even if those rights revert to you, if you re-use any design elements, you must be sure you have the rights to that intellectual property as well. If any of that sounds confusing, I would be happy to comment more specifically if you will describe the situation in more detail. ~ Steve Carlson is co-founder and publisher of Upper Access, a small conventional (royalty-paying) book publishing company in operation since 1986. He also publishes business software for fellow book publishers. He has served on the board of IBPA and is currently active with its New England affiliate, IPNE. I have a question about how to describe the book I’m working on. It was written with kids in mind, ages 12 or so, and also with the idea that parents would be reading the book to their kids. It’s about 80-90 pages. We included footnotes, to enrich and explain parts of the story for the adults. I am looking into how to describe the book, what are the general categories used? It is not necessarily a children’s book, but I don’t know if we could call it young adult. Is there anything in between? Where can I look to find these definitions? Thank you! The above links are from the Book Industry Study Group website. They should help get you started. If you have further questions, please feel free to give us a call. 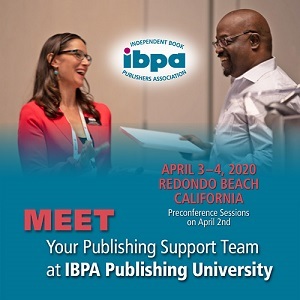 ~ Lisa Krebs was hired by Jan Nathan and Publishers Marketing Association (now IBPA) in 1998 and has been a sounding board and advocate for independent publishers for the past 15 years. She was previously contracted for West Coast publicity by Simon & Schuster, Pocket Books and Disney/Hyperion. With the industry in such flux, it’s hard to know when is the best time to release various editions of new books. Traditionally, hardcover first, later paperback, with the eBook somewhere in there. Now that statistics say that more books sell in electronic edition than in print, I’m not sure how to get a book out anymore. We have a small print run of hardcover books currently being bound, but they won’t be here as soon as the paperbacks that have already shipped. The paperback will arrive in time to make some of the deadlines for events that we planned for the hardcover, but the hardcover won’t be here in time and we would miss some sales opportunities by waiting. I don’t have the eBook available yet, but am thinking of publishing it right away in tandem with the arrival of our paperbacks, and go ahead and release both now and sell the hardcover as we can. In past years, I’d have waited for time to send copies to reviewers before the release date, but that hasn’t resulted in any reviews that have sold books. So I’m not doing that. I’ll send a few review copies to a few places, but they’re ones likely to review it anyway, even if the books are already available for sale. I’m thinking of just releasing each edition as we get them. 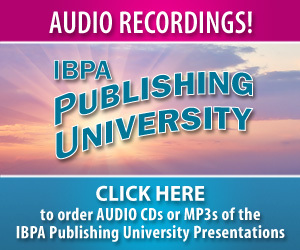 Do you or anyone at IBPA have advice about this? 1. If you have a book distributor, be sure to check with them to find out if they have any policy regarding p-book before e-book. Some publishers withhold the e-book so as to maximize earnings on the title through print, especially if they are releasing the book initially in hardcover. And since sales reps earn on commissions to bookstores but generally not to Amazon, Kobo etc., sales reps will not enthusiastically go out and sell the book if it’s already out there in e-space. 2. Bookstores have not embraced e-books and many still think they should get first crack. So if you’ve released your book as an e-book first you may find some booksellers alienated. This could hurt you if your book is a bookstore book (impulse purchase, celebrity diet, famous author), but if your book is arcane or marginal, you are not going to make much headway in the bookstores anyway. So who cares what they think. 3. It used to be said that hardcovers got the reviews. Maybe that’s still partly true, especially for library titles and children’s books, but nowadays print media review venues are disappearing as magazines move along with readers to digital formats on the internet. It is much more work and much more expensive to get into print media, and unless you’ve got a mainstream title, something very topical, or a big marketing budget, you will struggle along with everyone else. Here again, the e-book promoted via pubs and PDFs to reviewers is the way to go. 4. So you have to look at (1) is yours a bookstore book and do you care what bookstores think, (2) can you distribute it to bookstores and what does your distributor have to say about p vs. e, (3) can you make back your money selling a lower-priced digital book or do you have to squeeze some additional revenue out of a scarcer and more expensive hardbound or casebound book, and (4) can you just as easily promote it online with live buylinks right on the review pages? Note the strange notion too of books being released primarily as eBooks but then in a later, fancier, vastly more expensive print-on-demand editions where being in hardcover deluxe has its own cachet. These hardcover books would likely not be sold through bookstores however but through special sales or to individuals via your website. Lots of possibilities, no rules. ~ Stone Bridge Press president and publisher Peter Goodman is a graduate of Cornell University and lived in Tokyo, Japan, for ten years, where he worked as an editor for English-language publishers Charles E. Tuttle and Kodansha International before returning to the United States in 1985. He has served as in-house editor, ghostwriter, translator, and project manager on over 200 Japan- and Asia-related titles. Peter established Stone Bridge in 1989. He is past president of the Bay Area Independent Publishers Association (formerly MSPA). 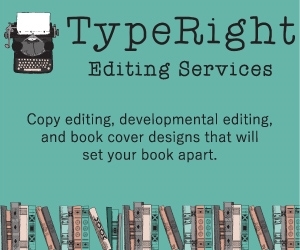 As a brief background, our publishing company has been in operation for over six years, providing authors with traditional publishing services. Throughout our six years we have had an open submission policy. While this has worked for the most part, we have over time, become more selective in the material that we want to publish and now realize that the next step is to try and align our company with reputable literary agencies or independent agents. My question is two-fold. Do literary agencies have specific qualifications that they require of the publishers to whom they send manuscripts? And secondly, what is the most appropriate way to garner their attention and begin discussions? As an agent, I am skeptical of any publisher with an open submission policy, as usually that is accompanied by charges for authors to publish the work. It can also indicate that the publisher is flooded with a lot of mediocre work that takes up a lot of the publisher’s time. 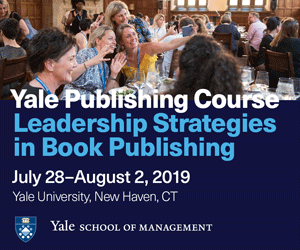 The publisher can establish a submission policy stating that only material submitted by an established literary agent will be accepted, all other material will not be considered. The agents need to know the publisher has connections with the mainstream media, including the book review and all other appropriate media outlets where books are often written about and discussed, so the publisher would need to post reviews and articles from the usual suspects on their website. In addition, the agent will look to see how the publisher’s titles are distributed: does the publisher use one of the master distributors in the industry, or are all the books shipped via the wholesalers. If so, the agent will know the representation of the titles to the trade (bookstores and wholesalers) is not competitive. Are all the print versions available only on demand? Again, another flag that usually means the publisher is an author services publisher. The best way to attract the established agents is by publishing a really great book that gets a lot of media attention, including a broad range of trade and consumer reviews and articles, and a solid ongoing sale. If the publisher publishes into a niche category–fiction or non-fiction–it is possible via Publishers Lunch to see which agents specialize in that category, and the publisher can reach out to those agents specifically. If it was my publishing house, I would begin the search for a partnership with one of the master distributors–PGW, IPG, Perseus, NBN, or Midpoint Trade–as a first step in establishing the legitimacy of the publishing program, or I might approach one of the elite independent rep groups, e.g., Chesapeake and Hudson, to see if they will be willing to take on the line. Chesapeake & Hudson has affiliations with other rep groups across the country, with strong connections to all the major accounts in the business. ~ Marcella Smith is an industry professional with over four decades of experience in publishing and bookselling. Currently, she provides services to authors as a literary agent, and works with publishers facing distribution challenges. Before starting her own firm, she was the Director Small Press/ Vendor Relations at Barnes & Noble, Inc. I have just placed my first order of books from Lightning Source. 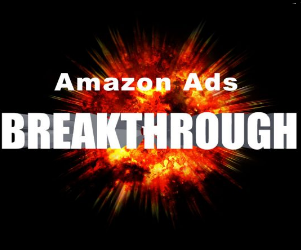 I believe it will take some 5 weeks to get into their system and then be able to set up my Amazon sales etc. I have my web site up and am on Facebook, both are announcing my book. With my first order, I made sure I had enough for a local book signing that will soon be advertised also. The Publication date of my book is confusing me. Is it when Lightning Source gets it into their system and their records? And if that is the case, is it alright to start selling it before the official publication date? ~ Janice Schnell is a Content Acquisition Account Executive for Ingram Content Group. Janice joined Ingram in January 2007, and has extensive knowledge of book publishing and offset and print-on-demand book manufacturing and distribution. In addition to Janice’s traditional book experience, Janice is well versed in digital content solutions for publishers. Ms. Schnell currently sits on the board of the Independent Book Publishers Association. Janice received her bachelor’s degree from Furman University and earned her master’s degree from Belmont University. We are a new publisher and expect to release our first children’s informational picture book in the spring of 2013. We will be purchasing the bar code – Bookland EAN/13 from Bowker, which includes the ISBN. We would also want to purchase an ABI from Bowker. In your professional opinion, what other important codes and files should we apply for at this time? I also recommend buying your own copy of “The Self-Publishing Manual” by Dan Poynter, Para Publishing. He answers all your questions. To begin, I recommend you buy at least 100-300 ISBN numbers from Bowker — you may (you will) need them in the future for assigning eBooks and other versions of your one title an ISBN. It’s surprising how fast the numbers can be used up. And if you have additional titles in the future, you will need even more. Buying just one number is not cost effective and you’ll be very frustrated if you only have one. You do not need to purchase a bar code from Bowker Any graphics person can make you a barcode if they have your ISBN number and price. You may buy the barcode if you wish of course, but it’s easy to do them with the OCR software, which makes it much more cost effective and so much easier. Bowker no longer used the ABI form. They use BowkerLink online at their website. A. BowkerLink provides publishers with an automated tool to update or add to their title listings in Bowker’s Books In Print <http://www.booksinprint2.com/> and Global Books In Print <http://www.globalbooksinprint.com/bip/> databases. Publishers may also view and update their publisher contact information. A. Yes, listing your titles in Books In Print <http://www.booksinprint2.com/> is absolutely free. I think you should have the pre-assigned Library of Congress number (PCN). How much does it cost to obtain a Pre-assigned Control Number (PCN)? There is no charge for a Pre-assigned Control Number (PCN). However, participating publishers are obligated to send a complimentary copy of all books for which a Pre-assigned Control Number (PCN) was provided immediately upon publication. Publishers failing to meet this obligation may be suspended from the program. Please note that all books submitted to the Library of Congress in compliance with the PCN Program are property of the Library of Congress and therefore are not returnable. The Cataloging in Publication number and data is a whole different thing. In the past, the LoC has not easily given this to a single title publisher, nor someone they think is “only self-publishing”. In my case, I paid the company Quality Books to generate a Cataloging in Publication number for me. This is data and a number useful to libraries. What is the difference between a Library of Congress Card Number, a Library of Congress Control Number, and a Pre-assigned Control Number? There is no difference between a Library of Congress Card Number and a Library of Congress Control Number. They mean the same thing – a unique number assigned to each Library of Congress catalog record. The Library of Congress Control Number (LCCN) is the number associated with the bibliographic record created by the Library of Congress or another library for a given book. Strictly speaking the LCCN is the control number for the bibliographic record, not the book. In the past, the printed card in a card catalog was the most popular format for displaying the bibliographic record and consequently the number associated with the record was commonly referred to as the Library of Congress Card Number. Other formats, however, were also used to display and distribute catalog records such as: book catalogs, microform catalogs, and online catalogs. As the most popular format for displaying and distributing bibliographic records is now the online automated system, it is more accurate to use the term “Library of Congress Control Number” rather than “Library of Congress Card Number”. A Pre-assigned Control Number (PCN) is a Library of Congress Control Number which has been “pre-assigned” to a given work prior to the work’s publication. The publisher of an eligible work may obtain a PCN by way of the EPCN program, assuming, of course, that the work has not yet been published. Published works are otherwise assigned a LCCN during the cataloging process, if they have been selected for addition to the Library of Congress’ collections. Are Library of Congress catalog records created for all books submitted to the Library of Congress as part of the Pre-assigned Control Number Program? No. Many PCN books receive such cataloging but it is not automatic. First, the book is reviewed by Library of Congress selection librarians. If the book is selected for retention in the Library’s collections, then a bibliographic record will be created and this record will appear in the Library’s online catalog. If the book is not selected for retention, the Library of Congress will not create a catalog record for the book. Most applications to participate in the Pre-assigned Control Number (PCN) program are processed in one to two weeks depending on current workloads. I want to change the title of a book I’ve already published and released. How do I do this? Do I need to change the ISBN number? How can I keep my reviews on Amazon? A new title does require a new ISBN. If she is going to change the title, she will lose the sales data on her previous book being linked to the new version. You can ask Amazon to copy the reviews to the new page and if you can show them it is the same book, they will do so in about 4-5 weeks. Changing the title/isbn should only be done if sales are so dismal you want to start over. If he/she has good sales, starting over might hurt rather than help. ~ Amy Collins started her career in the book industry as the book buyer for Village Green Books. She then “hopped the desk” and enjoyed 5 years as a National Account Rep. In 2001, Amy was named Director of Sales at Adams Media and eventually Special Sales Director for parent company, F+W Media. Amy founded The Cadence Group and New Shelves Distribution in 2006 to offer services to new and small presses. I am an editor at a small publishing company in Montana. We have a particular series of children’s books that has about 18 books. The first 6 were illustrated by one illustrator (Illustrator 1). When we added titles to the series, we hired a different, better illustrator (Illustrator 2) to work on 11 books. We’d like to go back to the first 6 books and have the Illustrator 2 do these books (he is a better artist). How do we determine if we need to consider these new books, and assign new ISBNs? The text/stories will stay the same, the titles will stay the same, and the author is the same. We are just having the books re-illustrated by a different artist. Do we have to put the other ones out of print and consider these new book? Or can we just change the illustrations in the books and keep the ISBN the same? The rule of thumb is that when you substantially modify the content you should create new ISBN’s. In the case of children’s books with illustrations this is definitely the case. Whether or not to put them out of print is up to the publisher ­ depending on whether you want to sell through remaining copies. Once you put it out of print and have a substitute new ISBN it will become very difficult to sell through remaining old stock. ~ Kelly Gallagher serves as VP of Publishing Services at RR Bowker. In this role he manages the implementation of a host of Bowker business intelligence services, including the PubTrack consumer research panel reaching over 40,000 ‘e’ and ‘p’ book consumers. For the past year, he has been leading a team of researchers on a three-year initiative for the Book Industry Study Group to study consumer attitudes toward e-devices and digital content. We hope you will find this program useful, but as with any advice, we recommend that you make sure it fits your specific business needs. 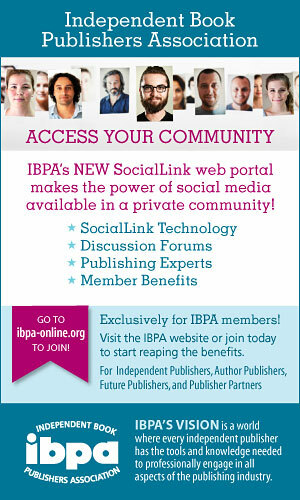 IBPA does not specifically endorse or support any particular group or service.